The Spark program is part of the City of Pittsburgh’s overall strategy for creating safe, complete streets and new open spaces. Complete streets balance the needs of people walking, riding bicycles, taking transit, or moving around in private automobiles. Streets and sidewalks make up to fifty percent of the City’s land area and are an integral part of our daily experience. Many sidewalks are narrow and leave little space for public life. Sparks extend the sidewalk into a street’s parking lane, providing space for gathering and a respite in the sidewalk network. New open spaces created through the addition of a small park to a streetscape add to the City’s inventory of larger parks and playgrounds. In 2018, the City of Pittsburgh offered an opportunity to build small parks in the right-of-way through a pilot program. A Spark is a temporary, public seating area comprised of the space usually taken up by 1-2 parallel parking spaces. They are placed in commercial areas and are intended to generate more on-street pedestrian activity that supports nearby businesses. Sparks are created by changing the use of one to two parking spaces and, in their place, building a semi-permanent platform which extends the sidewalk into the street. This platform is buffered from the street by a railing or barrier and can contain plantings, furniture, and other creative pedestrian amenities. The City of Pittsburgh launched Spark as a Pilot in February 2018, and the first four Sparks were built in May 2018. This year’s YASC requests participants to come up with a Spark design which might be part of the City of Pittsburgh’s 2019 Spark initiative. The winning Spark submitted to the YASC will be submitted to the City for future consideration. The Spark parklets in the Pilot by the City of Pittsburgh were sponsored by private businesses. For the YASC 2018, we only recommend that YASC participants design a Spark to be nearby a specific type of business / commercial activity (i.e. a flower shop, yoga studio, library) and be compatible with its practice. For example, how would a Spark in front of a bookstore engage people with reading material or storytelling? If tables, counters, benches or other furniture is provided, at least one of each type must be accessible. Sparks should be designed for easy installation and removal. Thus, the platform may NOT be attached to or damage the street. It may be acceptable to bolt the platform to the curb, but a restoration plan must be included. Dimensions – There must be a 4-foot buffer from adjacent parking spaces on each side of the Spark. Parking spaces are 20 ft long, so a Spark comprised of 2 parking spaces could be expected to be about 32 feet in length. Sparks must be set back 2 feet from the outside edge of driveways. In terms of width, the outer edge of the Spark must be 12 inches from the nearest travel lane. a) Platform – The platform should be built such that the Spark becomes an extension of the sidewalk. It is also required that the platform rest area has a maximum slope of 2%. The platform must be able to support 100 lb per square foot of live load. To withstand bumps, the outside edge of the platform closest to the street should contain a beam of pressure-treated lumber with a cross-section of 6” x 6”, or equivalent. b) Railing / Buffer – All Sparks must have some form of a continuous vertical buffer around the street edges. Buffers can be planters, railings, cabling, or other creative approaches. They must be between 36 and 42 inches and must be able to withstand a 200 lb horizontal force. It is encouraged that these buffers do not impede the visual of the street. c) Wheel stop – Rubber wheel stops are also required. A 3 ft wheel stop must be installed one foot from the curb at the edge of the front and back of the Spark. In addition, reflected elements are required at all outside corners, these usually take the form of soft-hit posts. d) Amenities – These can include permanent or movable seating, planters, bicycle parking etc. e) Drainage – The platform must be built so as not to impede drainage, most designs allow stormwater to flow along the curb under the platform as it does now. The design should be both memorable and impactful while promoting principles of safety, creativity and diversity that create healthy environments for all residents and visitors. The proposed design is supposed to develop an appropriate character/place/ experience suited to Pittsburgh, and respect historic assets when applicable. Enter the competition as an individual or create a design team! Individual entries must come from either an architecture graduate or undergraduate. 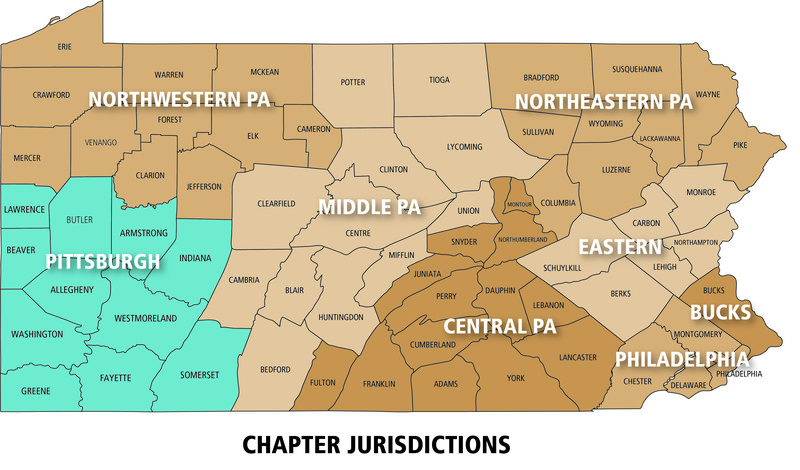 AIA membership/AIAS is not required; however, individual entrants and team members must be located within AIA Pittsburgh’s 11-county area. Individual architecture graduates, who have been out of school for no more than ten years, are eligible to enter this competition. Entrants may or may not be licensed to practice architecture. Individual architecture undergraduates, who are currently enrolled in an architecture program, are eligible to enter this competition. The teams must be lead by an architecture graduate and/or undergraduate and can include graduates, who have been out of school for no more than ten years, or undergraduates in a design industry related field which can include, but is not limited to engineers, landscape architects, or artists. Submission Criteria can be downloaded here: YASC 2018 Submission Criteria. Sunday, September 9th: Project submission must be received by AIA Pittsburgh via DropBox to be eligible for judging. View a variety of past proposals from AIA Pittsburgh’s Young Architects Studio Competition (YASC) that focus on design solutions for urban voids and underutilized places and spaces along the riverfronts.